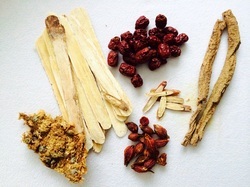 Chinese Herbs - Dr. Claudia Laufer, DAOM, L.Ac. Herbal remedies have been used for thousands of years as a natural and safe way to restore health and to balance the body. As a matter of fact, many of our modern-day pharmaceutical drugs are derivatives of these herbs - Aspirin, for example, was inspired by Willow bark, and the heart medication Dioxin was derived from Foxglove. This also means that herbs are powerful medicinals, and it is important to consult with a licensed herbal practitioner before starting any regime of herbal remedies. Unlike western drugs, which use one isolated substance to powerfully suppress symptoms of a disease (i.e. relieve headaches or lower blood pressure), and herbal formula combines many different herbs to address the symptoms as well as the underlying root causes of the disease. They can be used internally in form of capsules or powders that are dissolved in water, or as patches or tinctures that are applied topically. Herbs can be used for many different conditions. The strong anti-viral and antibiotic properties of some herbs make them very effective in combating acute conditions like the flu, tonsillitis, sinusitis, or other viral or bacterial diseases. Herbs are also effective at treating chronic conditions like allergies, chronic fatigue syndrome, autoimmune-related illness, gastrointestinal disorders, menstrual irregularities and many others by strengthening and supporting the body to help it heal and re-balance itself. During flu season, herbs can help prevent disease from happening in the first place. But are Chinese herbs really safe? The answer is YES! We only use herbs from reputable suppliers (Evergreen Herbs, Panaxea, and Brion/Sun-Ten Herbs) who test herbs for safety and contaminants. If prescribed by a licensed medical herbalist, herbs can safely treat many acute and chronic conditions with minimal or no side effects. Most of us think of mint as nothing but an option for herbal teas, but it is actually a medicinal herb. 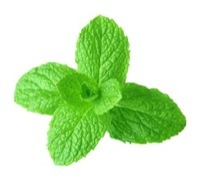 Mint works great for the common cold, cough, sore throat or mouth, and sinus infections. 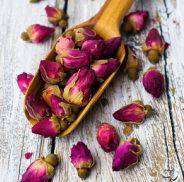 It can help with gastrointestinal issues like nausea, heartburn, morning sickness, IBS, and bloating, and its fresh aroma can help us get ready for spring by alleviating the winter blues. Peppermint essential oil can be applied to the skin for relief of headaches, muscle pain, tooth aches, or joint pain. For cold prevention, make a tea of mint with chrysanthemum flowers and sip throughout the day. Raw herbs are dried or fresh roots, fruits, flower, leaves, barks and other plant parts. They need to be decocted and can taste quite "challenging." Raw herbs are very strong and best for acute conditions. 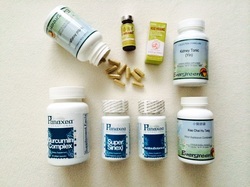 Formulas composed of raw herbs are customized to address each patient's individual needs. They require a lot of time to prepare, so most patients prefer to use powdered herbs or patent formulas. 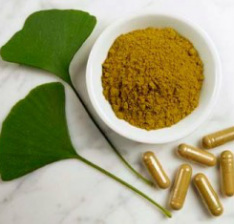 Patent formulas are pre-made herbal formulas that come as pills, capsules or tinctures. This form of administration is usually the least expensive and is also quite effective. Since the formulas are pre-made, they cannot be customized to the level of powdered or raw herbal formulas, but they can still treat anything from the common cold to hypertension and gastritis. Powdered concentrates are herbs that have been processed and concentrated into powder form or capsules. This is the most commonly prescribed form of herbs since they are easy to take for the patient; the powder is simply mixed into warm water, or taken as capsules. Like raw herbs, these formulas are completely customized to fit the patient's needs, and are good for both acute and chronic conditions. Topical applications are used for dermatological conditions and pain, and come in form of creams, plasters, patches, powders and liquids. They are directly applied to the skin and are great for patients who are on medications that don't allow for internal usage of herbs. 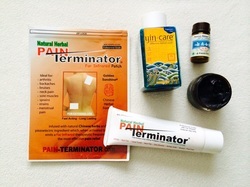 They also work great for acute pain, itchy or infected skin, yeast infections and sprains. For more information on herbs, homemade herbal remedies, how to grow your own herbs and other herb-related topics, check out my RESOURCE page.